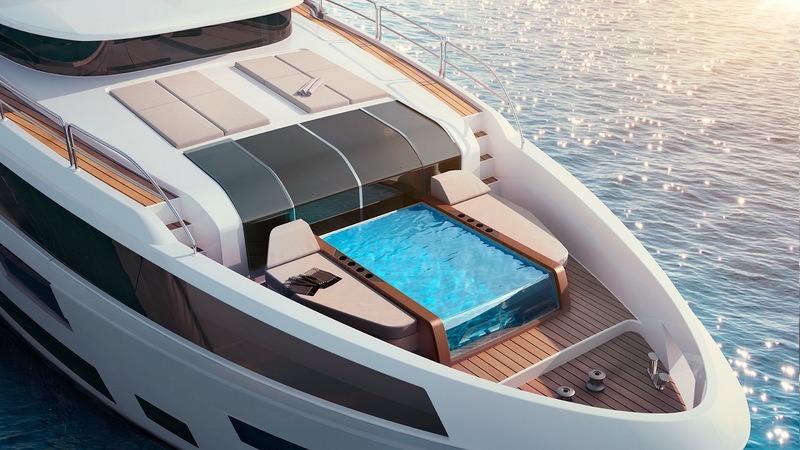 Details of the new Sirena Yachts 88 Raised Pilot House were announced at the 2018 Miami Yacht Show. 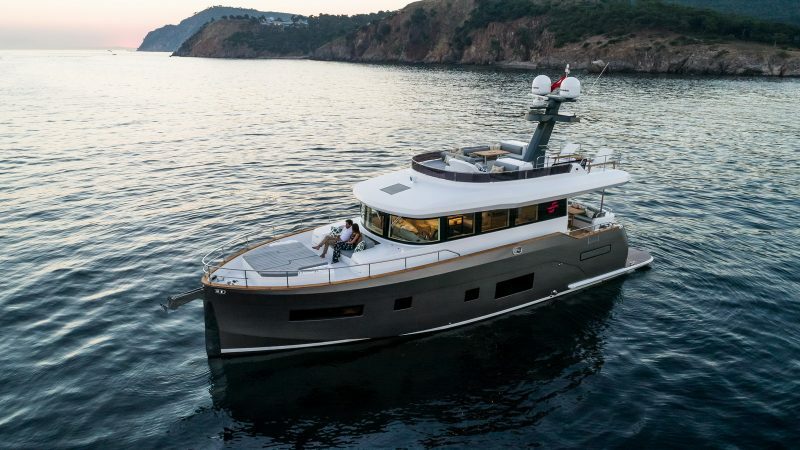 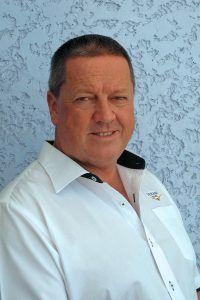 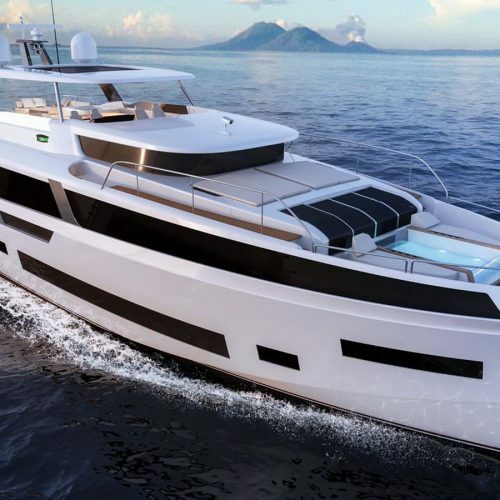 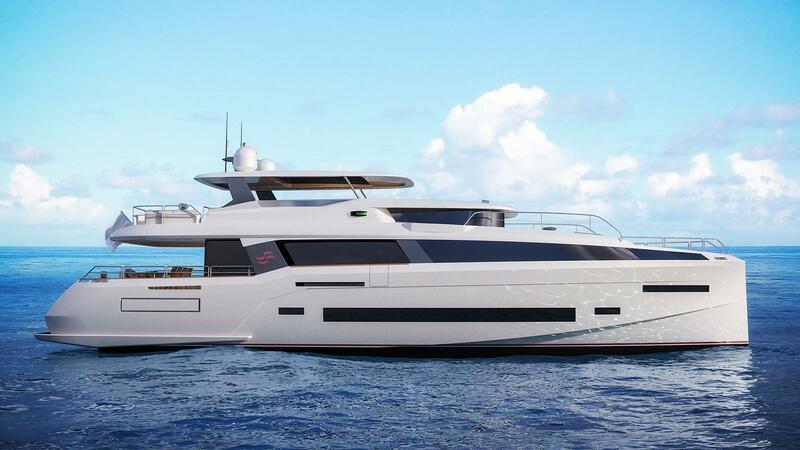 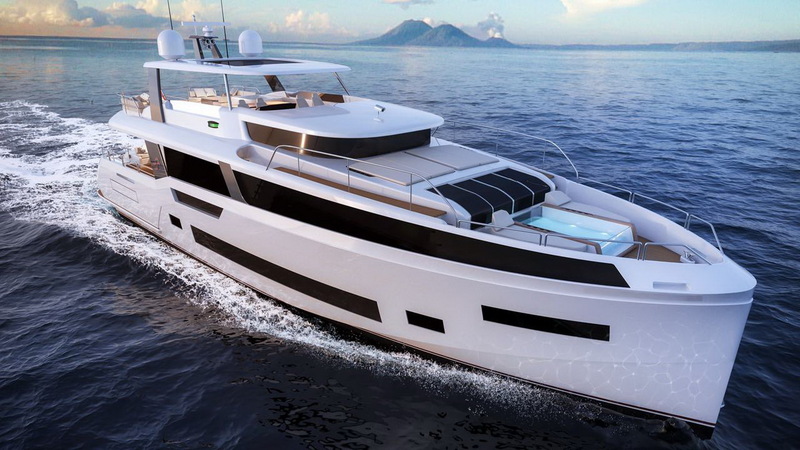 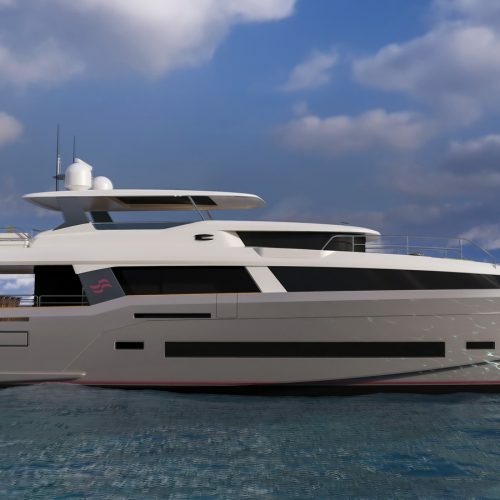 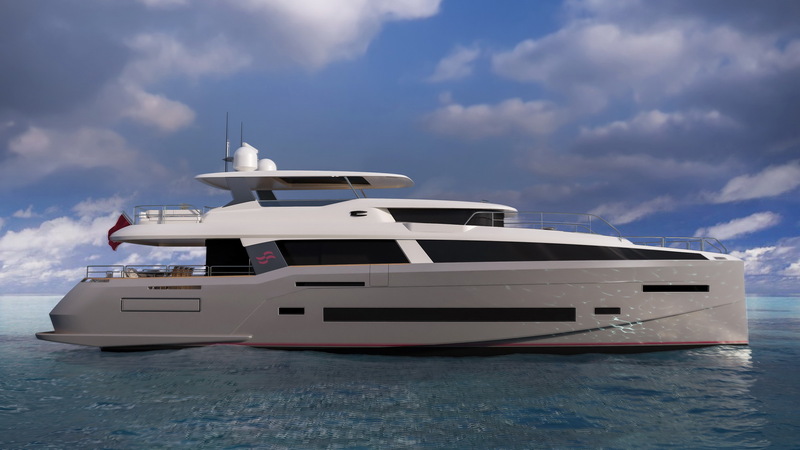 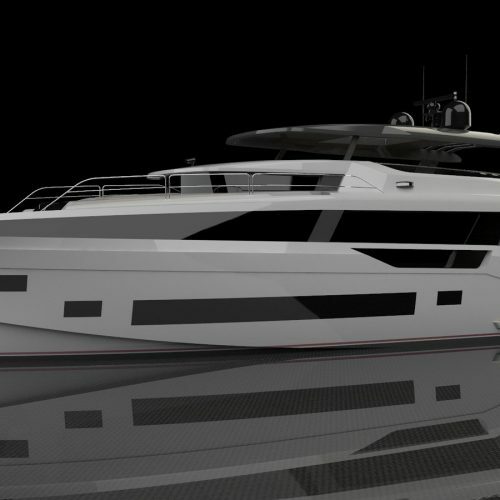 The new flagship of the Sirena Yachts fleet is currently under construction with the worldwide debut planned for the Cannes Yachting Festival in September 2019. 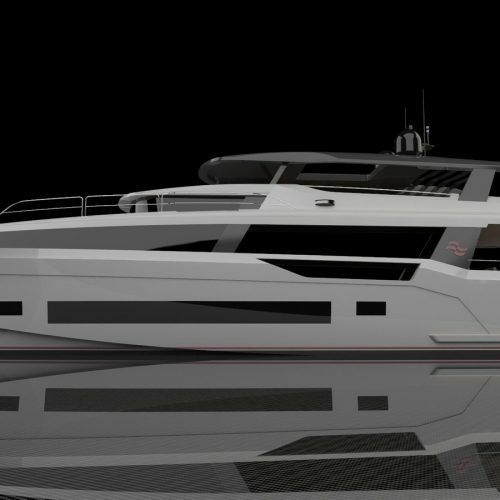 Once again the exterior design will be by Germán Frers Naval Architecture while Cor D Rover has been chosen for the interior. 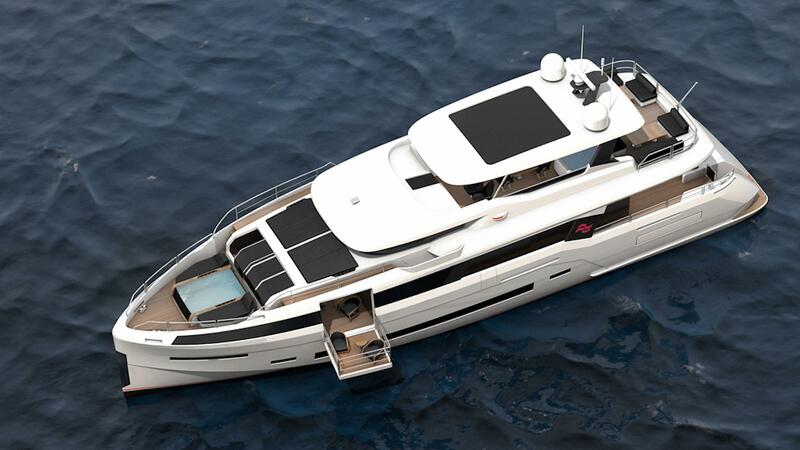 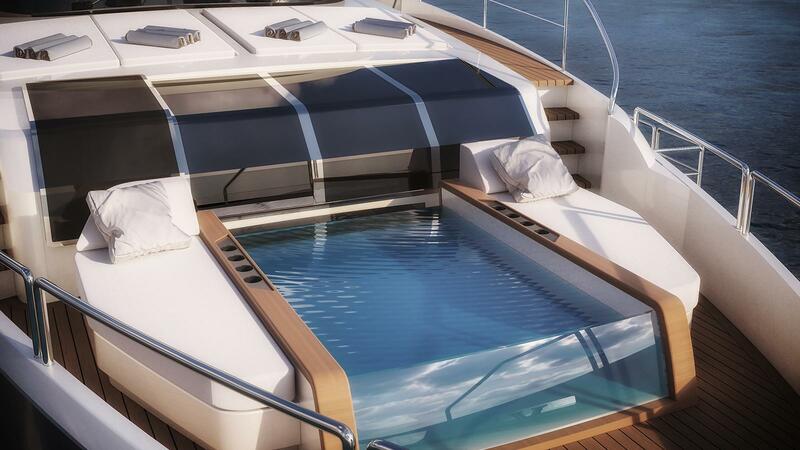 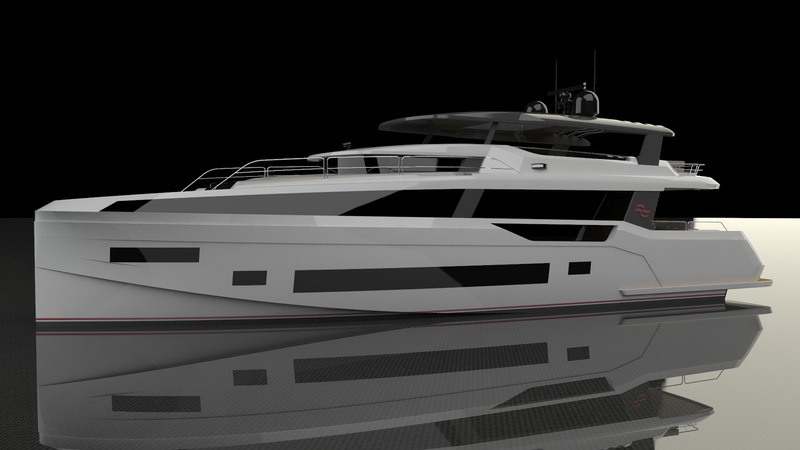 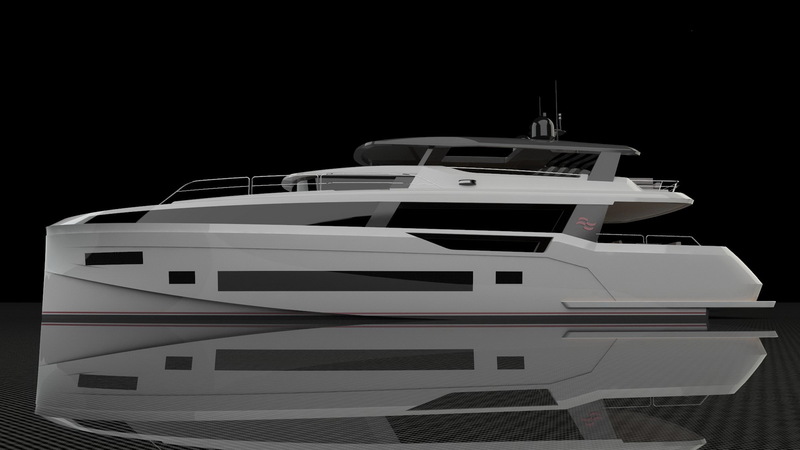 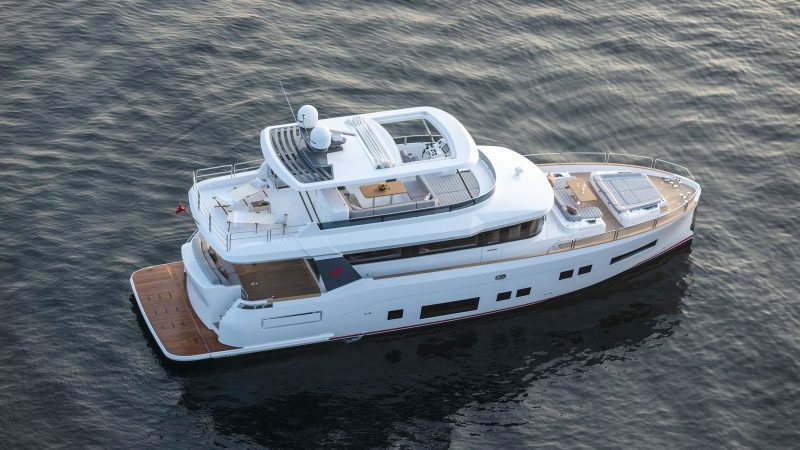 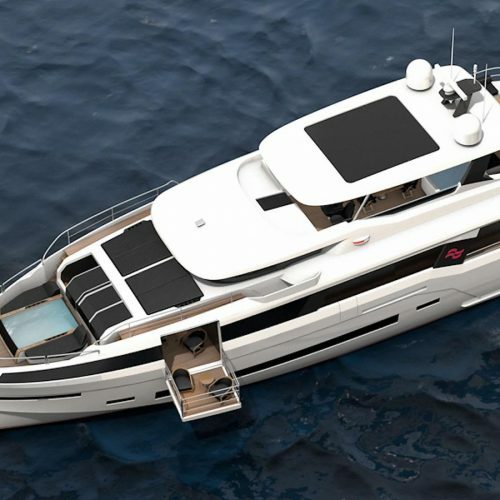 The Sirena 88 builds on the success of the yard’s current flagship, the Sirena 64. 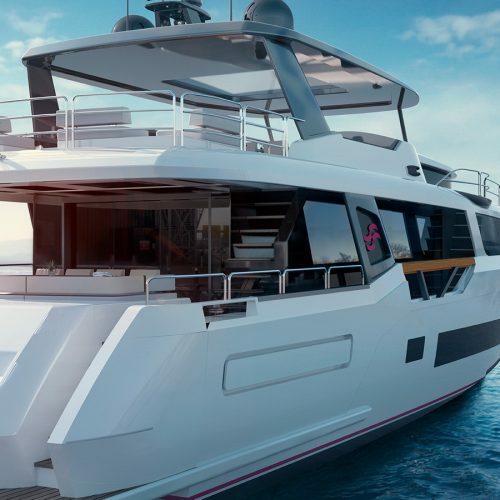 The hull characteristics and design are an evolution of her smaller sister with low resistance and a sea kindly hull that performs efficiently and with a minimum of fuel consumption through all speed ranges. 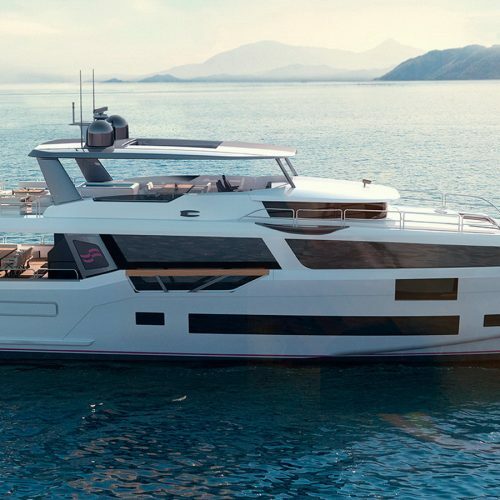 Powered by twin 1,400hp or 1,550hp MAN V12 engines the boat will have a top speed of 25 knots and cruise at 16 knots with a range of just under 2,500 nautical miles when cruising at nine knots. 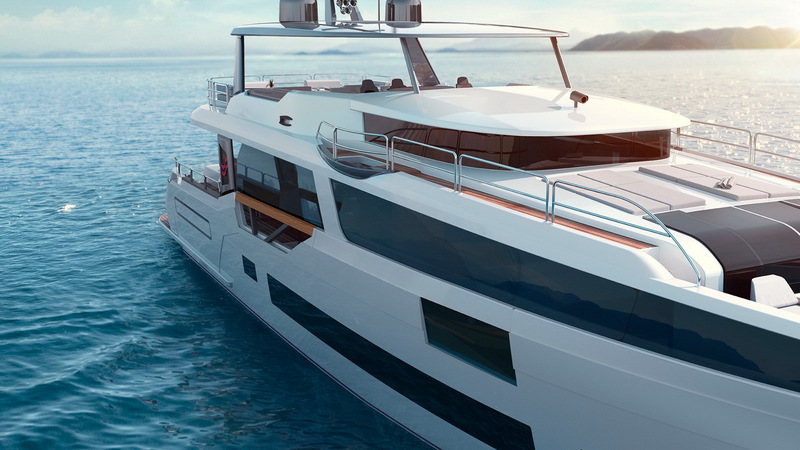 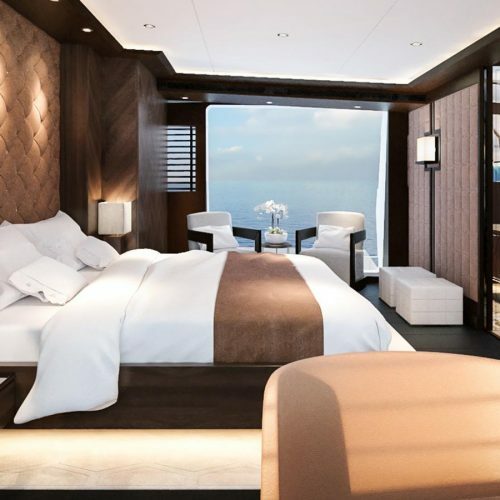 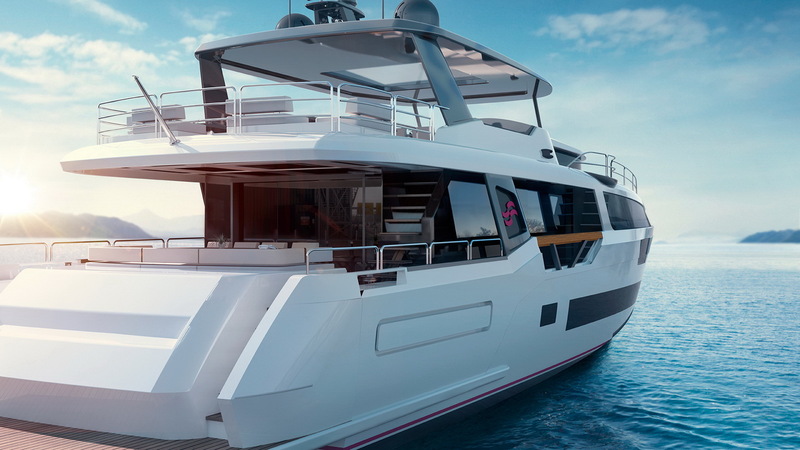 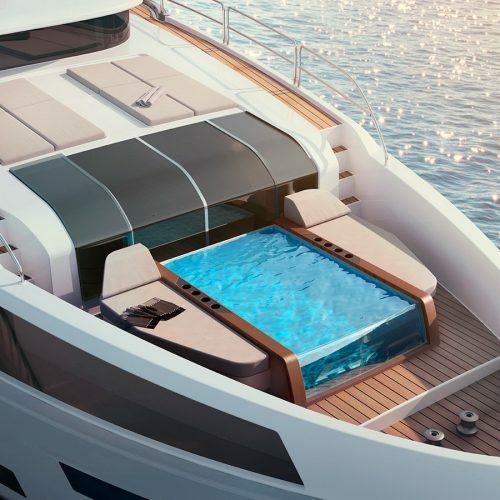 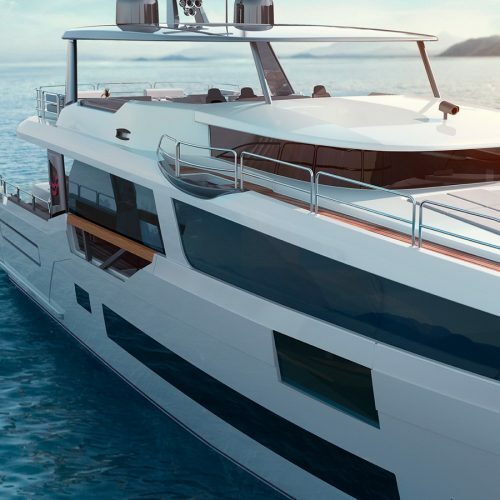 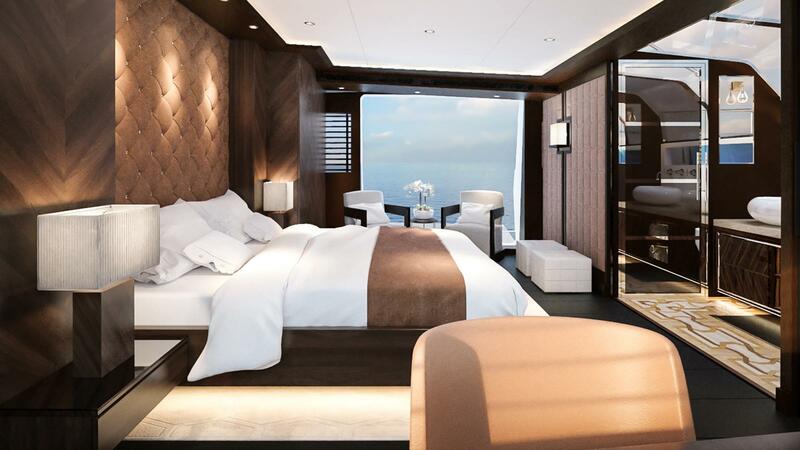 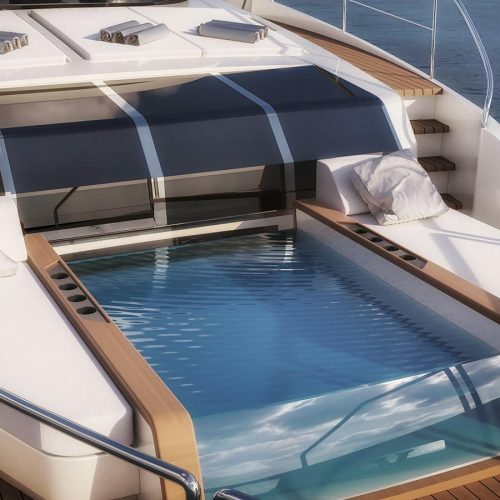 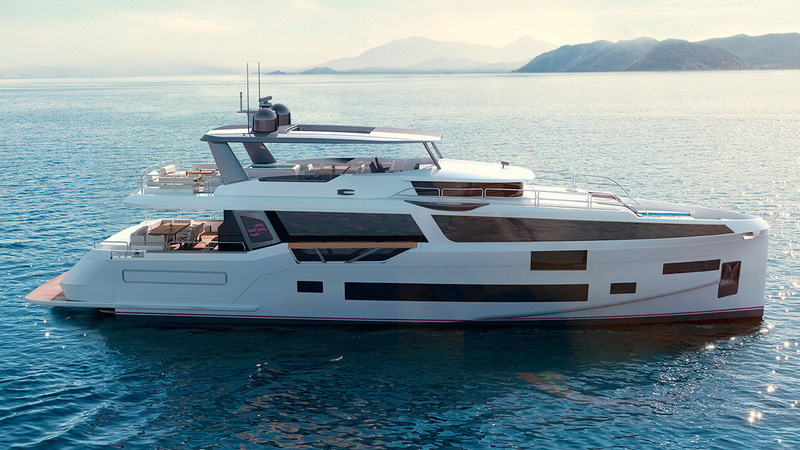 The interior will be offered in either a four or five-cabin layout, with the option for a main deck master suite with a private fold-out balcony and direct access to the foredeck infinity pool. 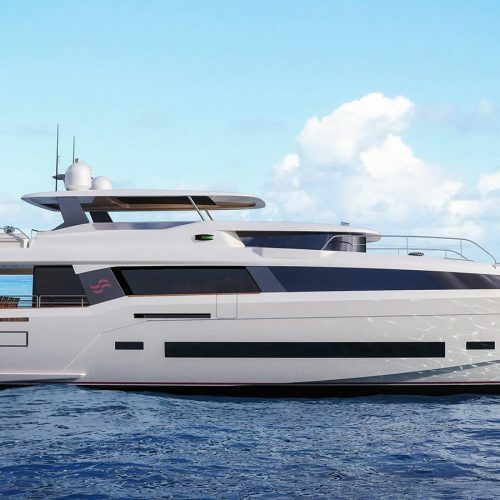 Other key features on board the Sirena 88 include a transom tender garage, which can be transformed into a beach club, and dining space for all ten guests on the flybridge under the shade of a hardtop Bimini.